Fashion is on the cutting edge of technology. The garment industry has long recognized the benefits of blending tech and style to create clothing that is functional, stylish, versatile, and futuristic. Wearable technology is part-device and part-fashion. And, the future promises clothing that can power phones, doesn’t require regular washing, and is wrinkle-resistant and environmentally friendly. In order for the garment industry to keep up with technology, it must implement the right tools to create these cutting edge garments and stay relevant as society becomes more tech-driven. Researchers from the University of Missouri have found that the “wearable technology industry often is hampered by communication breakdowns between technology engineers and fashion designers.” Deepika Raj is a doctoral student at the school and she warns that these breakdowns in communication can hurt productivity. One solution is a network of computer systems, which can be placed throughout the warehouses, office buildings, design areas, etc. to ensure mistakes aren’t made when garments are being produced and packaged. This is done using a computer on module system, which includes user-friendly, application-driven interfaces that improve your time-to-market. Imagine a warehouse that’s functional and productive, wherein all departments and employees can communicate without leaving their stations. By implementing new computer technology that dream could very easily be a reality. 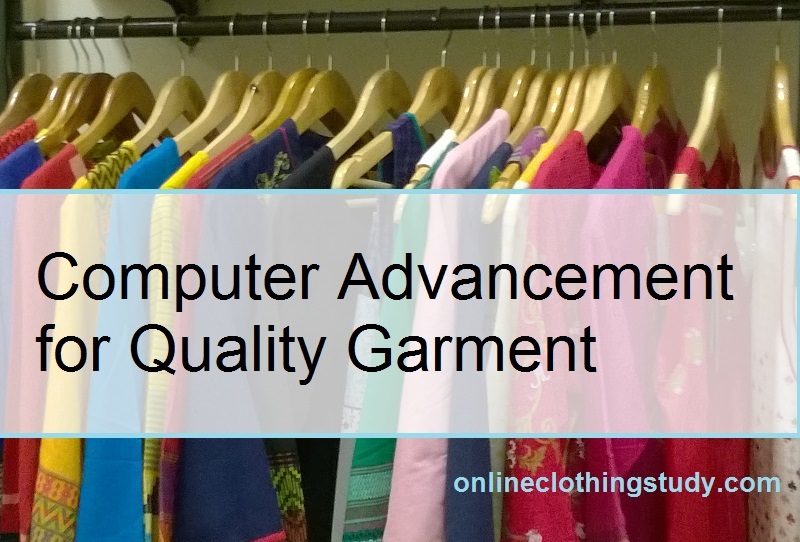 Ultimately, information technology is an integral part of the garment industry (not only because it improves communication, but also because it assists with design, sewing, and reporting). CAD/CAM systems are widely used for pattern making, plotting, and more. According to the American Machinist, the future of CAD/CAM is bright. You can expect this manufacturing software to grow in speed and versatility. And, as new technology is released the older tech will go down in price; however, the American Machinist warns that the garment industry will want to use next-generation CAM products to remain competitive. Fashion designers are employing non-traditional technologies to create runway looks that are real stunners, including utilizing 3D textile printing to create “3D fashion.” This project is in its fledgling stages and will take 18-months to reach completion. However, it promises to personalized 3D garments and footwear using raw materials, such as polymer. “This technology not only has the potential to reduce waste, labor costs and CO2e, but can modernize clothing production by encouraging localized manufacturing and production,” reports Science Daily. Speaking of environmentally-friendly design; current wrinkle-resistant clothing options are incredibly un-environmentally-friendly (they release formaldehyde), but scientists and designers have been working together to create wrinkle-resistant textiles that are cost-effective and environmentally-friendly. They’re on the brink of success, as are the scientists and designers who are working together to create Nano-enhanced textiles that “degrade organic matter when exposed to light;” in other words, they clean themselves when placed under light. Could the washing machine be rendered useless in our future? Only time will tell. The future of fashion promises to be more innovative than any year prior. It promises increased functionality, which will help the garment industry grow to be more profitable; and, it promises consumers new wearables that are stylish and functional in incredible new ways. It’s truly a revolutionary time, which could mean record profits for the garment industry, but those who want profits will need to embrace high-tech computing. 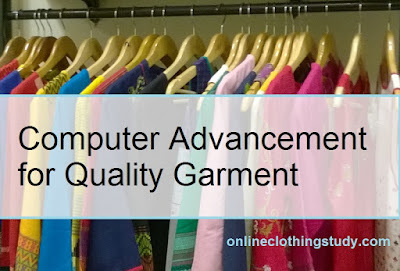 Advancement of computer technology in fashion and textile industry.